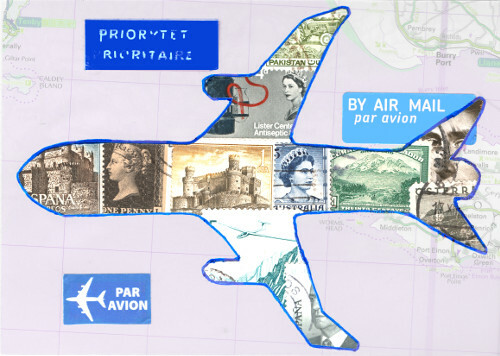 I hadn't realised that the post office in Finland issues postcards of their stamps, rather like the UK PHQ cards. If it's something regular, I feel a new collecting theme coming on. Of course, given the lack of a red nose, it can't be Rudolph. I think it may be Dasher during a quiet moment. 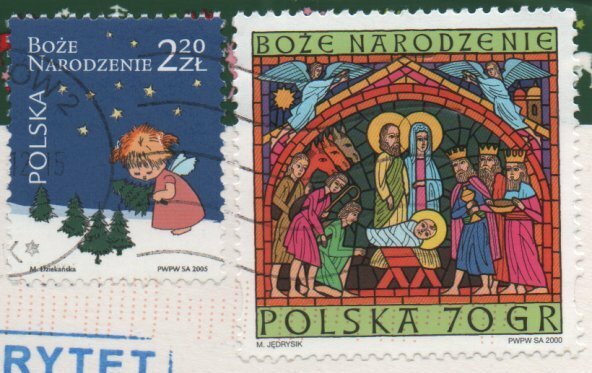 The Polish stamps are beautiful. I suspect Finland do PHQs (I remember browsing their shop some years ago and squeaking with pleasure). 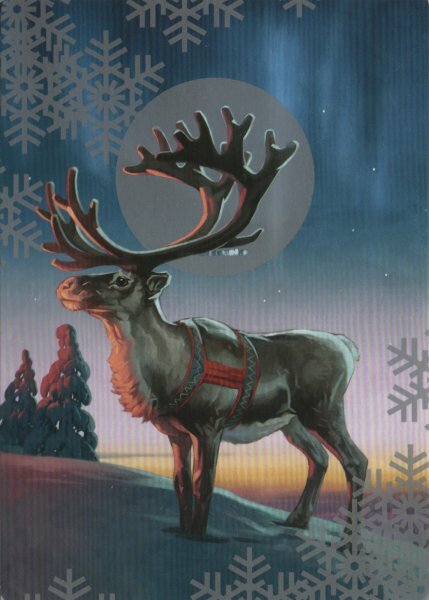 I know for certain the Aland Islands do PHQ and they produce nice maxi cards too. Merry Christmas! 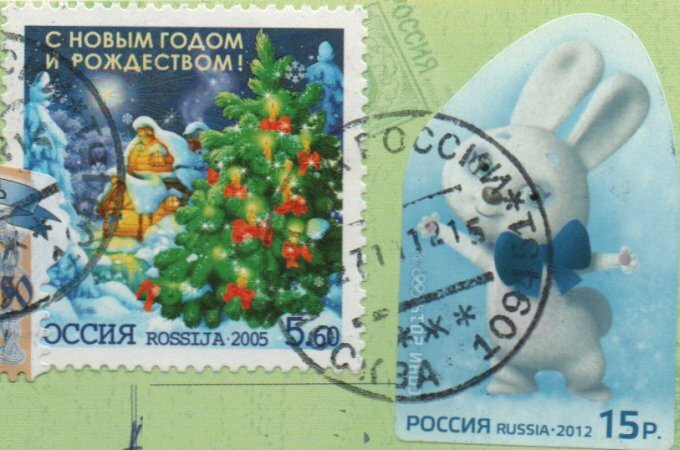 I find the sly and funny elf on the Finnish stamp to be my favorite. thank you for joining in. I'll look for you on Facebook. Merry Christmas, Sheila. 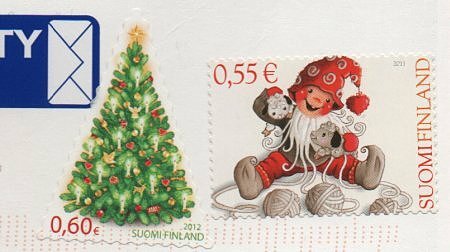 Finland keep surprising me with their stamps - but then the ones I have are very mundane in comparison with Christmas stamps. Very nice collection of Christmas stamps Shiela. I have that reindeer stamp from Finland too and I'm happy that I know now to call it Dasher and not Rudolph...kinda slow thinking on my part! Haha! 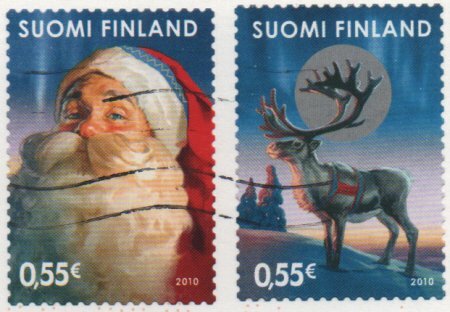 Oh the Finnish stamps with Santa and the reindeer are so cute! Happy Christmas! 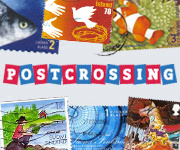 I can see your temptation to start a new collection within a collection of those lovely Finnish stamps, Sheila! They are really lovely! Merry Christmas. 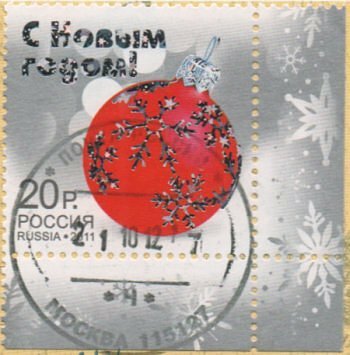 I love all the Christmas stamps! They really convey the merry nature of the holiday season.